This meticulously maintained 4+ bedroom/3.5 bathroom home, has access to private neighborhood pool, tennis courts, playground and more. This ideal getaway was painted and newly decorated. Beautifully decorated in crisp colors and Nantucket motif, this home offers a large sunny kitchen with an island that seats 5. The kitchen w/TV overlooks the large family room with flat screen TV/DVD/stereo and fireplace. The first floor also boasts a cozy study equipped with high-speed internet, and a spacious dining room with a large table that seats 12+. Second floor: the master bedroom(king) has flat screen TV with large master bath.The second floor has two additional bedrooms: a queen bedroom w/ flat screen TV and a bunkroom (sleeps 4), both beautifully appointed with nautical motif and a shared bathroom. Expansive 3rd floor has 4 twin beds, game table and chairs, and a sitting area wth queen sleeper couch, flat screen TV/DVD, and a full bath. This area is a great get-away area for children, babysitter or the in-laws. In addition the private backyard oasis contains a brick patio, teak furniture, fire pit and outdoor shower. Enjoy dinner while listening to music on the outdoor speakers. A true vacation home! Note: beach towels, beach chairs and umbrella, beach cooler, and boogie boards/skim boards are included in home furnishings. Note: The unfinished basement has a washer/dryer and ping-pong table. Note: a fresh fish-market, a convenience store, and a bike rental facility are within walking distance. Nantucket Shuttle stop is 5 min walk from house. Community center within 5 minute walk has large pool, kiddie pool, playground, shuffleboard and two newly-surfaced tennis courts for unlimited guest use (at no cost). Naushop is on the bike path, 1.5 miles from town, and 1.5 miles from 3 fantastic beaches. The shuttle bus service stopis a 3 minute walk from the house. There is a fresh-fish store, a convenience store, a coffee shop, and a bike rental facility within a 10 minute walk. Nantucket and our home are a great respite from the craziness of everyday life. This was our first trip to Nantucket and we're so glad that we found Full House. The home is in a quiet residential area yet a short car or bike ride into town. It's a great house with plenty of room/beds to accommodate multiple groups.The 4 teenage girls in our group loved the top loft area with 4 twin beds, comfy couches, private bathroom, tv. Full House is clean, comfortable, and as nice as the pictures show. We rented bikes for the week from Island bikes; they were in great shape with baskets, locks, and helmets for all included in the price, and with drop off and pickup service to the house. We enjoyed spending afternoons at the neighborhood pool and playing a little tennis, all within walking distance of the house. We rode the bikes daily to beautiful Surfside Beach and several times into town. We did rent a car for a few days as our in-laws joined us for the latter half of the trip and that was more convenient for those grocery runs. The house is well stocked with everything that you might need- beach towels, linens, kitchen supplies. It was also so nice not having to buy detergent, paper towels, soaps, toilet paper etc. for the week. The owner, Andrea, is very responsive to emails and willing to share suggestions to ensure a wonderful visit to Nantucket! We had a great time and look forward to returning in the near future! This was our first visit to the island and we could not be more impressed!! This house is fantastic, from the cleanliness, the tastefully elegant decor and the wonderful location. We feel in love with this house and hope to one day have one just like it in the island. The house is spacious and yet extremely cozy, we felt right at home. I would recommend this rental to all of our family and friends. We can not wait to visit again soon and couldn't imagine staying in another house. We have rented several times on the island and this was our favorite location so far! It is central to everything - close to town, close to the beach etc..also, ideal neighborhood for kids. The neighborhood has a pool and tennis courts for use, which gives an option to the beach. The house itself it perfectly lovely. The decor is charming, clean and up to date. I am incredibly picky about cleanliness and it was spotless. I would rent it again in a heartbeat and recommend it to anyone! My husband and I spent a week with family at this lovely home in July 2012. The house is very spacious, neat, and clean. We enjoyed all the amenities including the outdoor patio, ping pong table, and community pool and tennis courts. This home is located near Surf side Beach and also very close to town. I would highly recommend this rental! We spent two weeks at 90 Goldfinch in 2009 and came back for two more weeks in 2010. The house is beautiful! It had everything we could ever need for a really special beach vacation. The back patio and fire pit were perfect for making smores in the evenings and the kids loved the ping pong table in the basement. An incredible home and an incredible vacation! 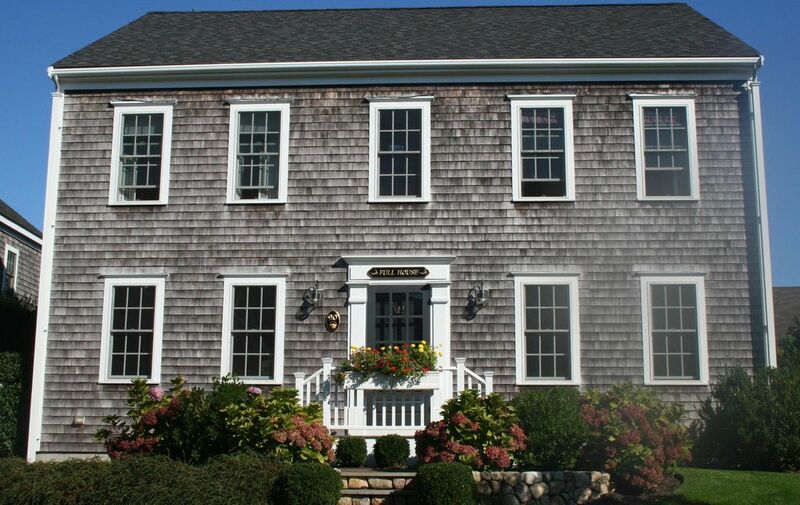 We can not say enough about this home or our vacation on Nantucket! Naushop is a charming neighborhood that is ideal for families with children or couples looking to escape the realities of the mainland! This home was immaculate and came equipped with all the modern amenities we needed. Add to it incredible furnishings, a fabulous yard and a great location and you have a home that is garunteed to please! Needless to say we are already longing for our return next year!